Dr. Donna Hewitt is a performer, vocalist, electronic music composer and instrument designer. Her primary interest in recent years has been exploring gesture in mediatized performance environments and new ways of interfacing the voice with electronic media. She is the inventor of the eMic, a sensor enhanced microphone stand for electronic music performance which she has been developing and performing works with both locally and internationally for the past 11 years. She is the co-founder (with Julian Knowles) of the audio-visual performance group Macrophonics. Her work has attracted frequent funding from the Australia Council for the Arts, most recently with all female collective Lady Electronica. The collective presented a live showcase of their work at the Judith Wright Centre in Nov 2012 following a year of development with input from renowned artists including Scott Horscroft and Gotye. Donna has undertaken a number of residencies including STEIM (Amsterdam) in 2010 – an internationally renowned centre for research and development of instruments & tools for performers in the electronic performance arts, as well as Legs on the Wall In 2012. Performance highlights include TES (Canada), ISEA, Brisbane Festival, SEAM, Understanding Visual Music (Canada), ICMC (USA, Ireland, UK), Liquid Architecture, Great Escape Festival, dis-orientation, sound-no-sound, and 1/4 Inch. Donna holds a PhD in music and has held academic positions at the Sydney Conservatorium of Music and Queensland University of Technology. She is currently the Bachelor of Music Course Coordinator in the School of Arts at UNE. Doctor of Philosophy (Conferred September, 2007), University of Western Sydney, Penrith. Australian Postgraduate Award with Stipend. 1997 B.A (Hons) Music. University of Western Sydney, Penrith. 1st Class Honours. 1993 B.Sc University of Sydney. Performance, Composition, Music Technology, Recording and Production. Donna’s research has been primarily exploring mediatized performance environments and new ways of interfacing the voice with electronic media. She is the inventor of the eMic, a sensor enhanced microphone stand for electronic music performance which she has been developing and performing works with both locally and internationally for the past 11 years. She is the co-founder (with Julian Knowles) of the audio-visual performance group Macrophonics. Macrophonics navigates the interface between humans and machines in performance – from sensor based microphones and wearable performance interfaces, to autonomous robots, live tape manipulation, gesture controlled light environments, dronescapes and experimental electronica. Their recent work 'Ghost Ships' explored the use of wearable technologies to control lighting in response to music and movement. 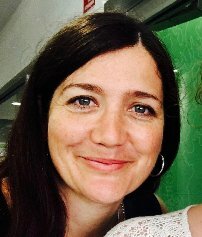 Donna was the Postgraduate Co-ordinator of the Music and Sound area for the Creative industries at QUT in 2012. She is currently the Music Honours Co-ordinator at UNE. Hewitt, D. (2013) eMic: Developing Works for Vocal Performance using a Modified Sensor Based Microphone Stand CHI’ 13 Extended Abstracts on Human Factors in Computing Systems Interactivity: Exploration CHI 2013 Conference: Changing Perspectives, Paris, France pp. 2943-2946. Knowles, J. & Hewitt, D. (2012) Performance recordivity: studio music in a live context. 7th Art of Record Production Journal Conference Proceedings. Burgess, Richard James & Isakoff, Katia (Eds. ), San Francisco State University, San Francisco, CA. Hewitt, D. (2011) Choreographic approaches to music composition for a new musical interface: the eMic. Proceedings of the International Symposium on Performance Science 2011 Williamson, Aaron, Edwards, Darryl, & Bartel, Lee (Eds. ), European Association of Conservatoires (AEC), University of Toronto, Toronto, pp. 169-174. Hewitt, D. & Hood, A (2006) Studio Report – Sydney Conservatorium of Music, University of Sydney. Australasian Computer Music Conference Proceedings - ACMC-06 Wilkie, Sonia & Haines, Christian (Eds. ), University of Adelaide, South Australia. Hewitt, D. (2006) The Mill on the Floss: A Case Study in the use of Voice and Electronics in the Theatre. Australasian Computer Music Conference Proceedings - ACMC-06 Wilkie, Sonia & Haines, Christian (Eds. ), University of Adelaide, South Australia. Hewitt, D. (2003) EMIC - Compositional experiments and real-time mapping issues in performance. Australasian Computer Music Association Conference Proceedings 2003 - Converging Technologies Vickery, Lindsay (Ed. ), Western Australian Academy of Performing Arts at Edith Cowan University, Perth, Australia. Hewitt, D. & Stevenson, I (2003) Emic - Extended Mic-stand Interface Controller. New Interfaces for Musical Expression NIME-03, Thibault, Francois (Ed. ), McGill University- Montreal, QC, Canada. Understanding Visual Music Conference UVM2011 Presented by Hexagram-Concordia Centre for Research-Creation in Media Arts and Technologies in collaboration with the Department of Music- Concordia University – Peer selected Performance of ‘Idol’ live performance with screen. SEAM2011 Spacing Movements OutsideIn Sept2011, Sydney. Idol selected by curators for performance at this event. PARRAMATTA LANEWAYS FESTIVAL 9th & 10th October 2014. Solo eMic performance. Ghost Ships, Underbelly Arts Festival 2013. Competitively selected proposal for a site specific audio-visual performance/installation in the Cockatoo Island Turbine Hall with Macrophonics team. Lady Electronica Live, Judith Wright Centre for Contemporary Art November 2012. Performance of Idol, One and Oxygen Thief. Collaboration with dancers, Lizzie and Zaimon Vilmanis.